Reading lists are defined by what they include as much as, if not more so, by what they exclude. Professional lists are particularly culpable. It seems that with each list released there is virulent, justified backlash concerning who’s missing. Not enough women. Few authors of color. Seldom any works of criticism. Fiction, never! While diverse representation, both of authorship and of content, is necessary and, still, sorely lacking, the general brouhaha fails to heed the crux of the matter. All lists list. By definition, lists have an inclination. They prioritize; they lean; they are necessarily exclusive; and they frame what the list-maker values. Naturally, reading lists appreciate books. They serve to enumerate a selected set of books chosen for various, yet specific, reasons. Often they are simply compiled together provided they satisfy some threshold criteria, such as award-winning or frequently banned. So what, then, sets a professional reading list apart? What makes a reading list professional? A reading list is obviously a list of readings; it is a list defined by its content. But a professional reading list is actually more than a list of professional readings. It prescribes its own use. Wrestle with me, it goads. Debate me. Engage. At the very least expect an encounter. The texts listed within serve to further circumscribe the profession and those within it, as professionals. So, when an organization prescribes a reading list and labels it professional, the organization displays its values. The list lays bare the organization’s intellectual priorities and canonical foundation. Reading is just the movement to contact. The real battle begins when service members begin to engage with the ideas, problems, and experiences put forth in what they are reading. 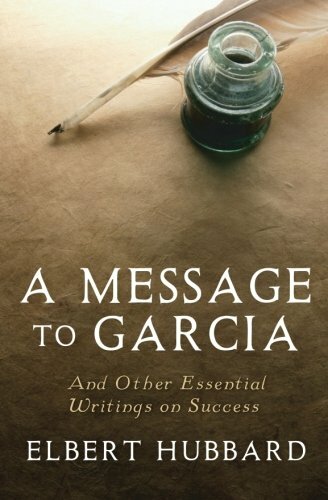 Recently, there was much debate in the Marine Corps Gazette, and online, concerning the validity of including Elbert Hubbard’s A Message to Garcia on the Commandant’s Professional Reading List. The debate transpired over multiple Marine Corps Gazette issues. Advocates and dissenters argued whether it was worth having Marines read a story about an American soldier who “delivers the urgent missive with no questions asked, no complaining, and no hedging.” What lessons would Marines draw? Does this just reinforce a shut-up-and-color mentality? Whatever one’s thoughts, the discourse that followed was well worth the book’s initial inclusion and eventual removal from the list. It required Marines to engage with the text, develop critical arguments, and then present them publicly. All of which should be natural and expected consequences of a professional military reading list. The Commandant’s Professional Reading List finds its official origins in an order issued in July 1989. This message codified the expectation that Marines take ownership of their professional education. It separated recommended reading by grade and prescribed a certain number of books to complete each year. One of the 146 books recommended, albeit for Lieutenant Colonels, was Carl von Clausewitz’s On War. However “the program is intended to be dynamic in nature.” Over the years, with each Commandant, the list has been revised and, at some point, Clausewitz’s treatise was just another book that missed the cut. So, despite General Neller’s revision, which included fantastic new additions such as Moneyball: The Art of Winning an Unfair Game by Michael Lewis and Legacy: 15 Lessons in Leadership by James Kerr, key texts on the nature of war remain absent. This is a critical vulnerability. Without Clausewitz, we fail to provide the necessary and foundational understanding of what war is—the bedrock of our profession. We don’t use a new weapon system without understanding its capabilities and limitations, and neither should we engage in tactics without understanding how tactics—the conduct of the combat—correspond to strategy—the use of those combats. B. 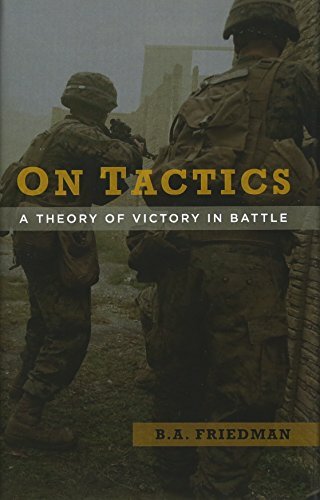 A. Friedman, in his work On Tactics: A Theory of Victory in Battle, explains the difference: “Strategic theory organizes what a practitioner learns by teaching him not what to do in war but how to think about war.” The military services do an exceptional job training tactics, but lack a robust capability to develop strategic thinkers, especially early on. Remember, for instance, that Clausewitz, even when prescribed by the Commandant’s Professional Reading List, was intended for Lieutenant Colonels and above. Any military professional reading list without Clausewitz is symptomatic of this intellectual void. Friedman reminds us, “For tactics to appropriately serve strategy they must align with strategic imperatives, and the nature of those strategic imperatives affects the quality of tactical units.” How can we expect to develop a corporal’s strategic mindset when we don’t train to it? Moreover, with the shrinking of the three-block war to three floors, and, maybe soon if not already, to three rooms, it is imperative that all service members understand their place within the political dialogue of war. Nor is there any reason to suggest that service members are unable to understand the debate. As service members, we serve both the tactical and strategic level of war, and so, if we are to practice wielding violence for political ends, then we must understand it. One could argue, however, that a publication like Marine Corps Doctrinal Publication 1 Warfighting is sufficient to mitigate the gaping hole left by abandoning Clausewitz. Warfighting is on the Commandant’s Choice, widely read, and serves as the foundation for all subsequent Marine Corps doctrine. But to deem that sufficient is like confusing the information contained within the Multi-Service Tactics, Techniques, and Procedures for the Joint Application of Firepower with that of the Joint Publication for Close Air Support 3-09.3. Parts of the Joint Application of Firepower are a distillation of Joint Publication for Close Air Support 3-09.3, but not exclusively so. Similarly, Warfighting extracts theory from On War, but once included, however, those sections do not remain authoritatively Clausewitzian; instead, they become Marine Corps doctrine. In fact, this is how disproportionate emphasis on certain Clausewitzian concepts emerge. Consider how the idea of Newtonian center of gravity is only used a few times by Clausewitz. Yet, the emphasis the Marine Corps (and American military doctrine writ large) places on this heuristic far exceeds the theoretical stress that the metaphor was intended to withstand. Regardless, it is likely that Warfighting, and in particular its footnotes, will be the first exposure for Marines to Clausewitz. This is certainly better than nothing, but it’s still not enough. Adding Clausewitz back onto the Commandant’s Professional Reading List is only a first step; it is important but only notional. On War’s removal was symptomatic of a larger professional deficiency in strategic training. To correct the strategic paucity requires an overhaul of the specific professional reading list programs, particularly cultivating critical thinking and engagement, but also a reevaluation of what it means to engage in professional dialogue. Martha Nussbaum in Not for Profit: Why Democracy Needs the Humanities explains, “When people see their ideas as their own responsibility, they are more likely, too, to see their deeds as their own responsibility.” Just as we seek to instill decentralized execution in tactical engagements, introducing critical thinking serves to empower junior leaders to take ownership of their ideas; the list is not a checklist, but a playlist, a library of potential. Currently most military professional reading lists find themselves much more like lists of military readings than professional. Perhaps my critique has become more pedagogical than substantive, but, at some point, it becomes impossible to divorce content from its form, or tactics from strategy. However, simple discussions and engagement, questions and conversation, and straightforward intellectual leadership will begin to close the gap. Olivia A. Garard is an officer in the U.S. Marine Corps, an Associate Editor for The Strategy Bridge, and a member of the Military Writers Guild. The opinions expressed are hers alone and do not reflect those of the U.S. Marine Corps, the Department of Defense, or the U.S. Government. Header Image: USS Portland (CA-33) "Sweet Pea" in rough seas. See Miranda Summers Lowe’s critique “War Books: Something Missing From The CSA’s Reading List” for more specifics about why missing voices are deleterious to developing the necessary “cultural standard” for military professionalism, https://mwi.usma.edu/war-books-something-missing-csas-reading-list/. See Pauline Shanks Kaurin’s “Questioning Military #Professionalism” for further commentary on what makes a profession, https://thestrategybridge.org/the-bridge/2016/2/1/questioning-military-professionalism?rq=professionalism. GySgt Joseph P. Conry, “A Message to Garcia: Remove the book from the Commandant’s Professional Reading List,” Marine Corps Gazette, Volume 100, Issue 2, https://www.mca-marines.org/gazette/2016/02/message-garcia. “The Commandant’s Reading List,” Marine Corps Gazette, Volume 73, Issue 9, https://www.mca-marines.org/gazette/1989/09/commandants-reading-list. Previous lists, including this first list, recommend the Howard and Paret translation. However, I prefer Colonel J.J. Graham’s since it was translated in closer temporal proximity to when Clausewitz wrote his work. The Hegelian and Kantian language and framework is more natural and apparent. Additionally, since Howard and Paret were writing at the apogee of nuclear tensions and armament, their work includes far more use of ‘policy’ than ‘politics’; perhaps as an attempt to, or a commentary on, the weapon and its policy. But war is a continuation of politics and not policy. That said, I still prefer to begin any consideration with war’s definition (from which the above maxim is derived), “war therefore is an act of violence intended to compel our opponent to fulfill our will.” [Carl von Clausewitz, On War, trans. Colonel J.J. Graham (New York: Barnes and Noble, Inc., 2004): 3]. The Commandant’s Reading List, Marine Corps Gazette, Volume 73, Issue 9, https://www.mca-marines.org/gazette/1989/09/commandants-reading-list. It looks like both Clausewitz’s On War and Sun Tzu’s The Art of War were cut by General Amos between ALMAR 027/11 and ALMAR 001/13. General Robert B. Neller, “Revision of the Commandant’s Professional Reading List,” ALMAR 015/17, http://www.marines.mil/News/Messages/Messages-Display/Article/1184470/revision-of-the-commandants-professional-reading-list/. Olivia A. Garard, “Tactical and Strategic Interdependence,” The Strategy Bridge, 18 December 2016, https://thestrategybridge.org/the-bridge/2016/12/18/tactical-and-strategic-interdependence?rq=garard. B. A. Friedman, On Tactics: A Theory of Victory in Battle (Annapolis: Naval Institute Press, 2017): viii. Additionally, segmenting the reading list by officer and enlisted and then further by rank defeats the purpose and inculcates more of the checklist mentality. More focus should be placed on a book that all Marines or all service members read. Maj William DeLeal, “Future Nonlinear Warfare and the Pervasiveness of Uncertainty, Part I: Organization and cognition in Marine Corps intelligence,” Marine Corps Gazette, Volume 101, Issue 9, https://www.mca-marines.org/gazette/2017/09-9. See Lawrence Freedman’s excellent article “Stop Looking for the Center of Gravity,” War on the Rocks, 24 June 2014, https://warontherocks.com/2014/06/stop-looking-for-the-center-of-gravity/. 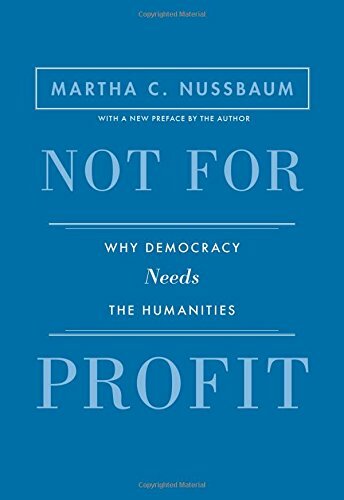 Martha Nussbaum, Not for Profit: Why Democracy Needs the Humanities (Princeton: Princeton University Press, 2016): 54. Consider Umberto Eco’s “Antilibrary”: https://www.brainpickings.org/2015/03/24/umberto-eco-antilibrary/. Admiral Jim Stavridis, “Read, Think, Write, and Publish,” Proceedings, Volume 134, Issue 8, https://www.usni.org/magazines/proceedings/2008-08/read-think-write-and-publish. “The Professional Edge: The importance of professional reading,” Marine Corps Gazette, Volume 101, Issue 12, https://www.mca-marines.org/gazette/2017/12/professional-edge.